Anthony Bourdain had an outsized impact on the life of Jason Rezaian, the journalist who was jailed by Iran shortly after filming an episode of Bourdain's "Parts Unknown." Rezaian spoke Sunday with CNN's Brian Stelter on "Reliable Sources" about how Bourdain's legions of fans should continue to honor the globe-trotting television host and writer. "We should keep reading him, we should keep watching his shows, we should keep traveling around the world," he said. Rezaian, a reporter for the Washington Post, and his wife, journalist Yeganeh Salehi, filmed an interview with Bourdain for his show "Parts Unknown" in 2014. A few weeks later, they were jailed by the Iranian government. Salehi was released shortly after she was detained. But Rezaian, who was charged with espionage, remained behind bars until January 2016. Some suspected the interview, in which Rezaian talked about his love-hate relationship with the country, may have been one of the reasons they were detained. Rezaian denies that. "The show actually had nothing to do with us being arrested, and if anything I think our appearance there — with really one of the most beloved television personalities, and people, of our generation — raised awareness in a different kind of way that nothing else could have," he said. 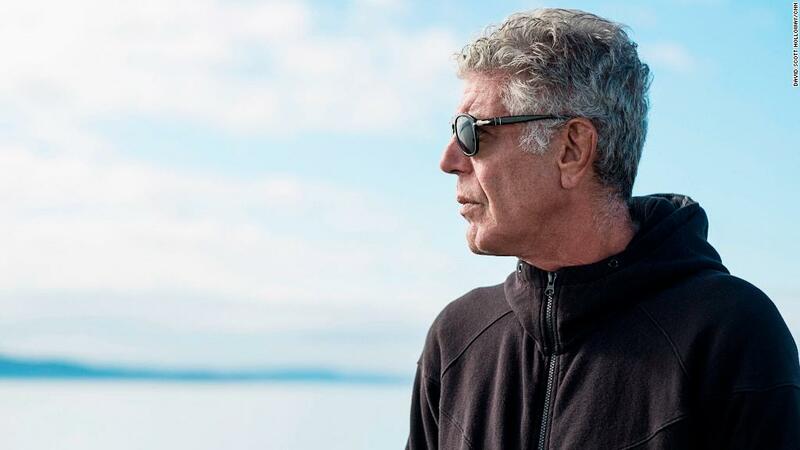 Bourdain was a fierce advocate for Rezaian while he was imprisoned. Stelter said that having the footage of Rezaian's interview with Bourdain actually helped television reporters cover the news of his detainment. "It gave us a face to put with the name," Stelter said. Rezaian was freed as part of a prisoner swap. He kept in touch with Bourdain after his release, he said. "I can only imagine how many people he continued to stay in touch with and connected with," Rezaian said. "Yeganeh and I are two of them, and he continued to — more than the support that he gave and advocacy that he did while we were in prison — continued to be a good friend to us after our release, counseling us privately in our interactions with him. professionally but also how to get through what was really a tough reintegration." Rezaian's forthcoming book, "Prisoner," will be published by Bourdain's imprint with Ecco, a division of HarperCollins Publishing. "I had several offers from other publishers that wanted to publish it, but it was a very personal email that I got from Tony at really the last hour when I needed to make a decision that put it over the top for me," he said. "We just kind of agreed right there that we're doing this with Tony. We've been with him on this journey for a couple of years and we're going to keep going."